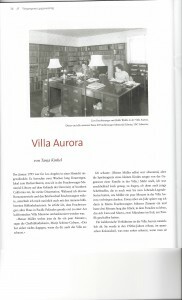 Bestselling novelist and International Feuchtwanger Society member Tanja Kinkel’s article ‘Villa Aurora’ is currently available from the Literatur in Bayern website. 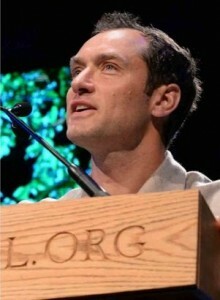 Lion Feuchtwanger at the 2015 Hay-on-Wye (UK) literary festival: for Letters Live, an event celebrating the art of letter-writing, actor Jude Law read Lion’s public letter to the occupants of his house Mahlerstrasse 8.
Letters Live was also performed by Jude Law at a refugee camp in Calais on February 21st 2016. 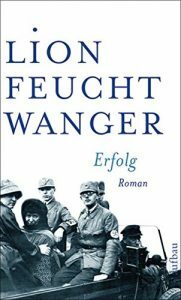 Edgar Feuchtwanger’s memoirs, written from his own contemporary viewpoint as a professional historian, have been published by Bretwalda (London). 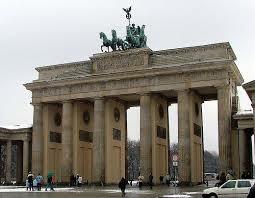 “Nine-year-old Edgar was strolling down the street in pre-war Munich when he glanced into a nearby garden. There, relaxing in a deckchair and dozing in the sun, he saw a neighbour who lived directly opposite him. Edgar, who was Jewish, felt no cause for alarm. 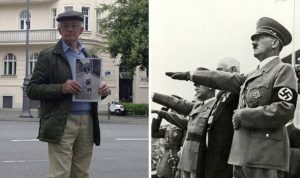 Yet this fellow city dweller was none other than Adolf Hitler, then resident in Munich and on his way to becoming the most dangerous and fearsome tyrant of the 20th century. 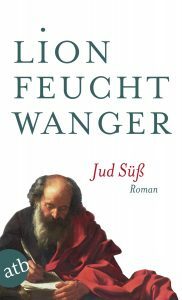 Following his fascinating talk at the International Feuchtwanger Society Conference 2015 (see Lion Feuchtwanger Facebook page for full report), Professor Ian Wallace will return to the subject of Lion Feuchtwanger’s British dimension next week at the Institute of Modern Languages Research School of Advanced Study at the University of London. 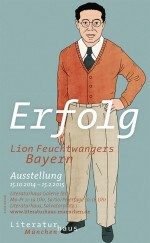 Upcoming conference in Munich in July 2015, masterminded by City of Munich archivist and Lion Feuchtwanger biographer Dr. Andreas Heusler: Zwischen ‘Erfolg’ und ‘Exil’. 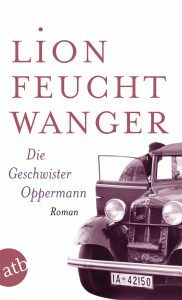 Lion Feuchtwanger und München. Full image set at the Feuchtwanger Facebook page. 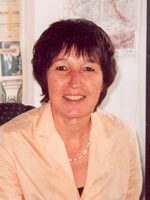 Forthcoming proceedings of International Feuchtwanger Society Conference 2013 (Berlin). 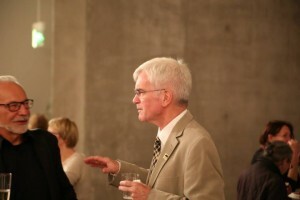 Kudos to Professor Geoffrey Davis for putting it all together! 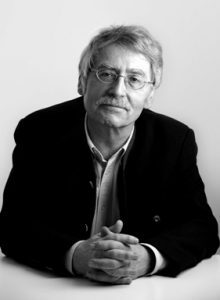 “To understand Stalin – was that at all possible for a western intellectual, who paid him a visit in the Soviet Union in the 1930s? 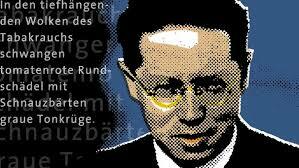 What was it that Feuchtwanger grasped, when he sat face to face with the dictator on January 8th, 1937? 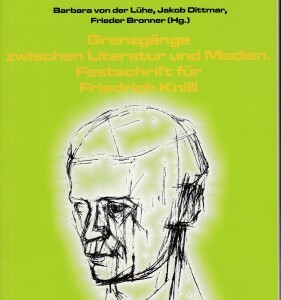 How far reaching was his insight and knowledge about that radically foreign society? 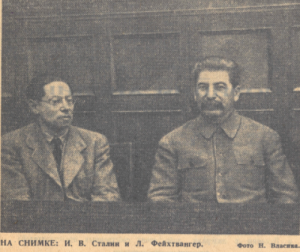 In his travel log of 1937, Feuchtwanger shows considerable appreciation for Stalin and his policies. He ends his book with a triple, enthusiastic YES for the USSR praising its social order and even justifying its show trials. The political reasons are obvious. 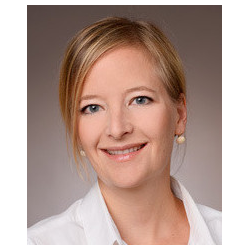 Forced into exile, by the Hitler regime, the German-Jewish author hoped, the Soviet Union would offer the fierce resistance to the National Socialists, which was sadly missing among the western democracies.